The role of androgen-dependent cytochrome P450 4 (Cyp4)-derived 20-hydroxyeicosatetraenoic acid (20-HETE) in the pathogenesis of diabetic nephropathy is unclear. In this issue, Gangadhariah et al. 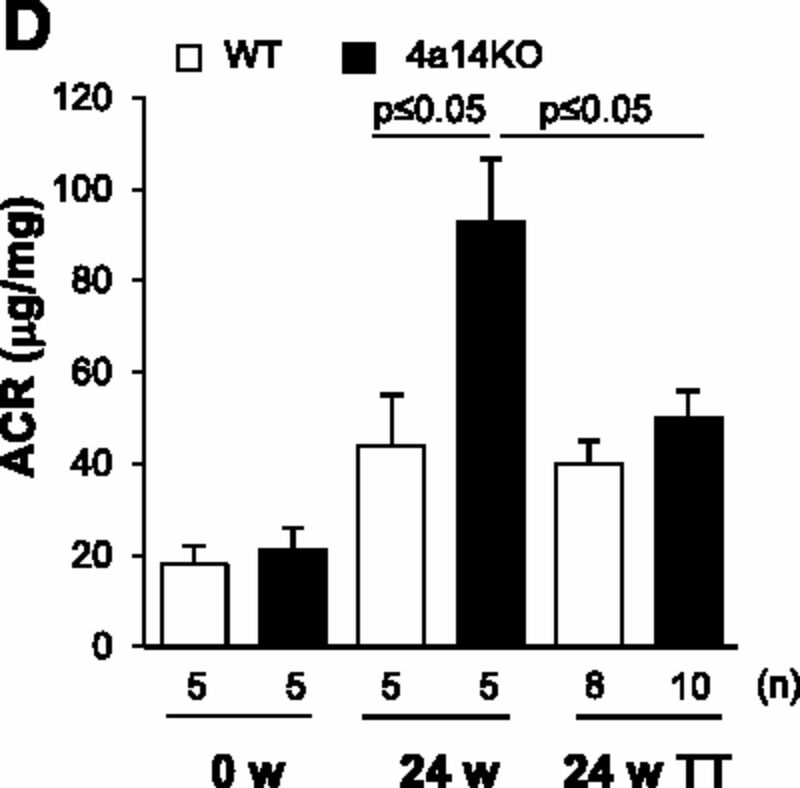 report that streptozotocin-treated Cyp4a14-knockout mice develop worse renal disease than their wild-type counterparts, but castration mitigates the renal damage and normalizes BP in the diabetic Cyp4a14-knockout mice. 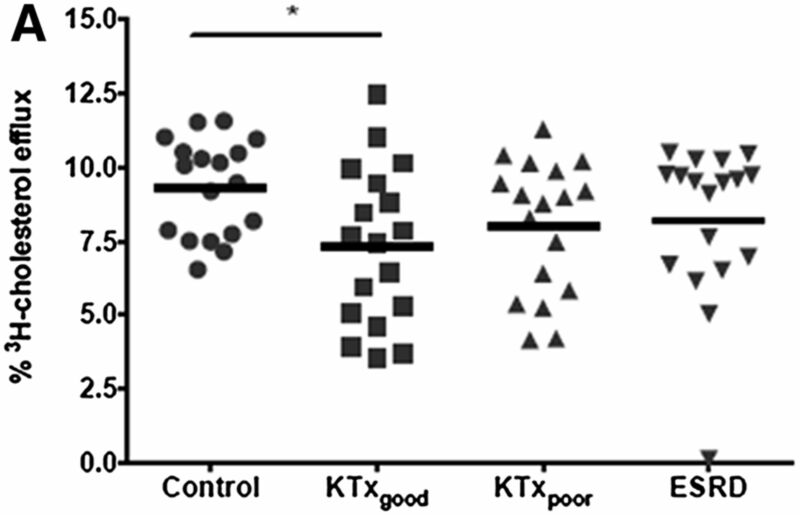 Moreover, reducing systolic BP without affecting 20-HETE production reduces renal damage, indicating 20-HETE contributes to diabetic nephropathy through hypertension. See Gangadhariah et al., pages 597–610. 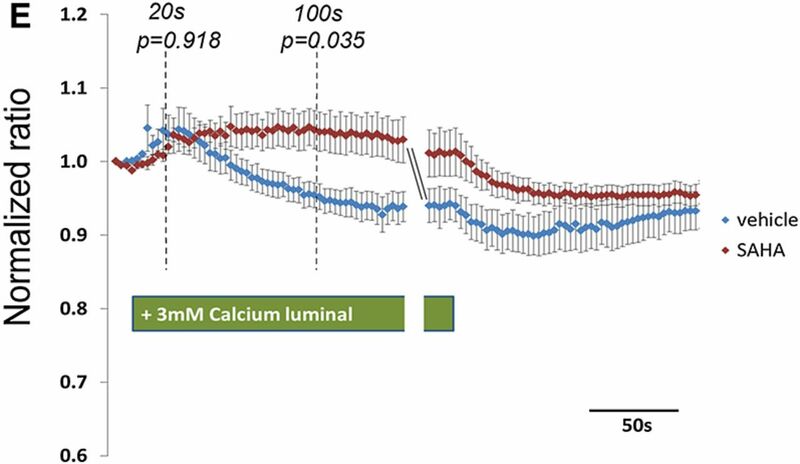 Therapeutic approaches to regulate the claudin genes involved in renal calcium transport are lacking. Here, Gong et al. show that histone deacetylase (HDAC) inhibitors regulate transcription of two kidney-specific claudin-14-targeting microRNAs, reducing renal calcium excretion specifically in the thick ascending limb. Treatment with HDAC inhibitors also rescues autosomal dominant hypocalcemia phenotypes in cell and animal models, suggesting kidney-specific microRNAs warrant further investigation as therapeutic targets in the treatment of hypercalciuric diseases. See Gong et al., pages 663–676. Deletion of the von Hippel–Lindau protein (pVHL) in juxtaglomerular cells triggers a switch from renin expression to erythropoietin expression. Kurt et al. 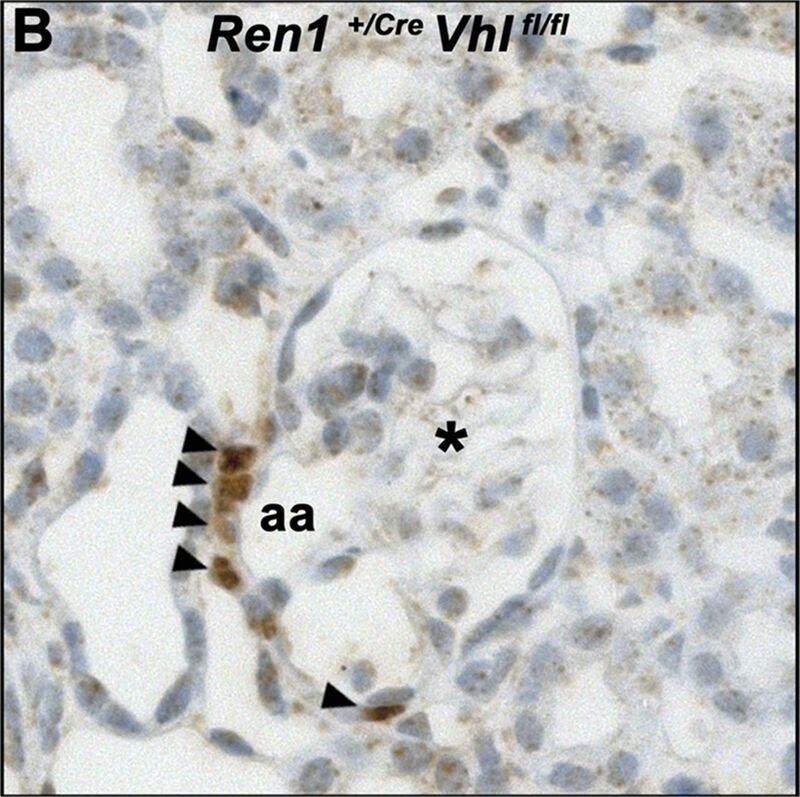 studied the underlying mechanisms in mice and found that induction of this hormone switch by renin cell-specific pVHL deletion requires hypoxia-inducible factor-2α (HIF-2α). The morphologically unique cell type induced by this switch accumulates HIF-2α and expresses markers of fibroblast-like cells in addition to erythropoietin, the production of which is regulated by factors that regulate renin expression in normal juxtaglomerular cells. These results provide additional insight into renin and erythropoietin production. See Kurt et al., pages 587–596. Do the ESRD-associated structural and functional abnormalities of HDL remain after renal transplantation? In their explorative study, Kopecky et al. found that the cholesterol acceptor capacity and antioxidant activity of HDL are comparable in hemodialysis patients and stable renal transplant recipients, regardless of graft function. Furthermore, despite some restoration of protein distribution, the overall molecular composition of HDL remains altered after transplantation. Although confirmation in larger cohorts is necessary, these findings may help explain the high cardiovascular risk in renal transplant recipients. See Kopecky et al., pages 565–575. The performance of conventional ultrasonography (US) in diagnosing presymptomatic autosomal dominant polycystic kidney disease (ADPKD) in young subjects is suboptimal. Pei et al. prospectively evaluated the diagnostic performance of magnetic resonance imaging (MRI) and that of high-resolution (HR) US in 110 subjects 16–40 years old who were born with a 50% risk of ADPKD and in 45 age-matched controls. They report that, using diagnostic criteria derived specifically for these subjects, MRI provides highly discriminant diagnostics in young patients and HR US can perform similarly, although center- and operator-specific differences may affect the performance of HR US. See Pei et al., pages 746–753. Have recent ESRD payment reforms and changes in dosing guidelines for erythropoiesis-stimulating agents affected racial disparities in clinical practices and laboratory measures related to anemia and mineral metabolism? Turenne et al. analyzed data from the Dialysis Outcomes and Practice Patterns Study Practice Monitor for 7384 patients receiving maintenance dialysis at 132 facilities between August 2010 and December 2011. 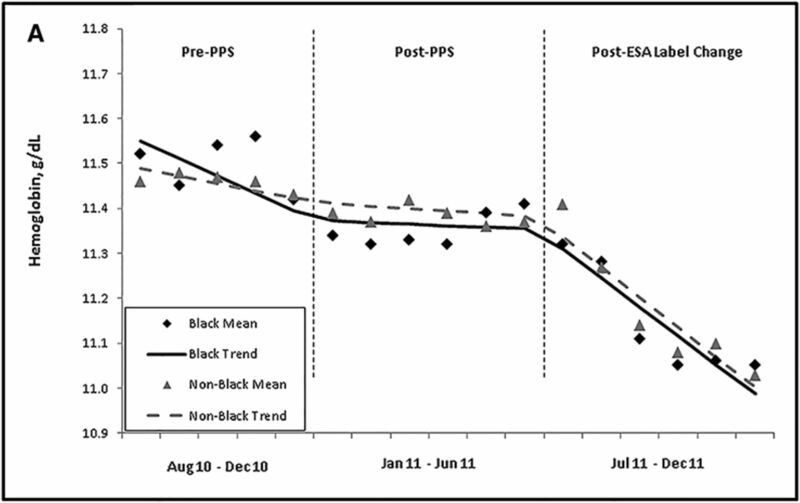 Overall, mean hemoglobin level and EPO dose declined and mean serum PTH increased during this period, but the rate of change did not differ by race. The authors note that the effects of policy changes should also be examined in subgroups of patients and facilities. See Turenne et al. pages 754–564.